Over the last year and months, we seem to have been asking ourselves this question more than any other time in our lives. The rapid expansion of plastics around us has already caused so much damage to our oceans, marine animals and to us, as humans. What was once a far-fetched idea, has now become our everyday reality. Future predictions coming from a report by the World Economic Forum and the Ellen MacArthur Foundation, state that if we continue dumping the same amount of marine litter in the ocean as we do now, plastic will outweigh fish by 2050. Scary? Shocking? Definitely. At the time when numbers speak for themselves, the world woke up and realised that words alone won’t save our planet, but concrete and targeted actions still might. Back in 2017, marine litter with its inseparable component of plastic pollution became the primary focus of attention at the international Our Ocean conference in Malta. A number of pledges were made by governments, society and individuals alike towards reducing negative impact plastic pollution has on the fragile ecosystems, marine life, and human health. Recently, the European Commission took a step further on the way to finding a European-wide response to the global plastic problem by proposing plans to ban a range of everyday single-use plastic items. It would target throw-away products, including: cotton buds, cutlery, straws, stirs and balloon sticks, which together with fishing gears account for 70% of all single-use plastic items found on Europe’s beaches and seas. 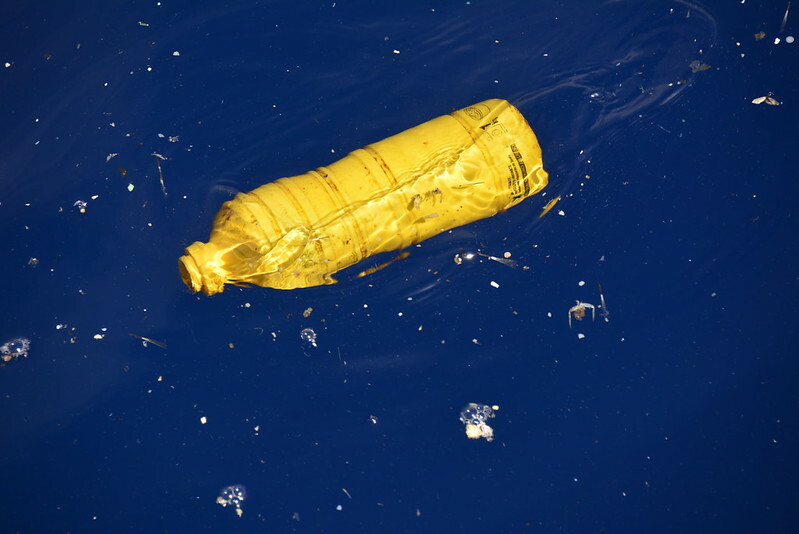 Many people might well think that plastic only floats on the surface of the ocean. But it actually gets much deeper. Through at-sea research expeditions in Europe, Oceana’s researchers have found multiple kinds of marine litter - including single use-plastics – at 1,000 metres deep, where it harms deep-sea marine life and rich biodiversity. For each piece of plastic on any given beach there are dozens more in the deepest and darkest areas of our blue Planet. Cutting the amount of plastic pouring into our oceans will only happen if we turn off the source behind the crisis: plastic production itself.